This a grey inframe painted solid wooden kitchen with grey granite worktops. 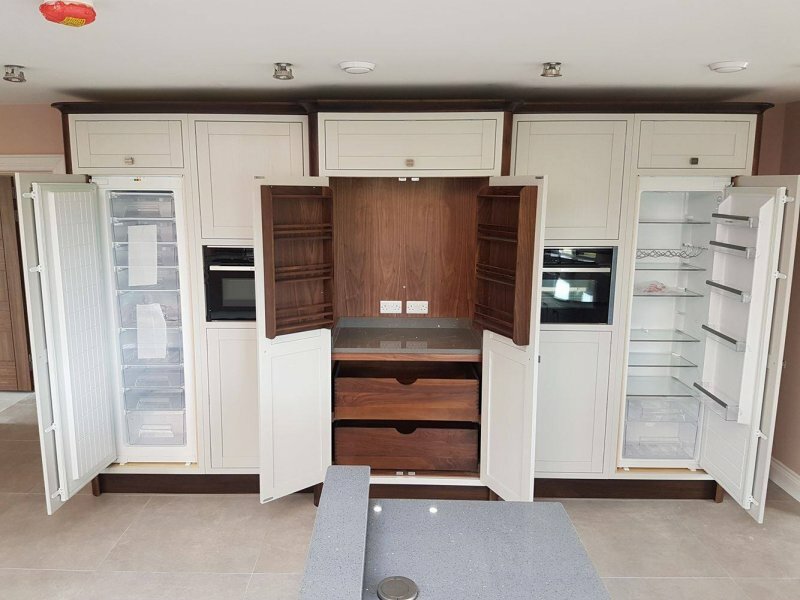 The kitchen has walnut framing and walnut internals in the larder units. We have integrated all the appliances including a tall fridge and tall freezer. There is a large L shaped island with a bench seating area and table.